Dance-pop purveyor Jack Peñate: Talented, British -- and look at that head of hair. 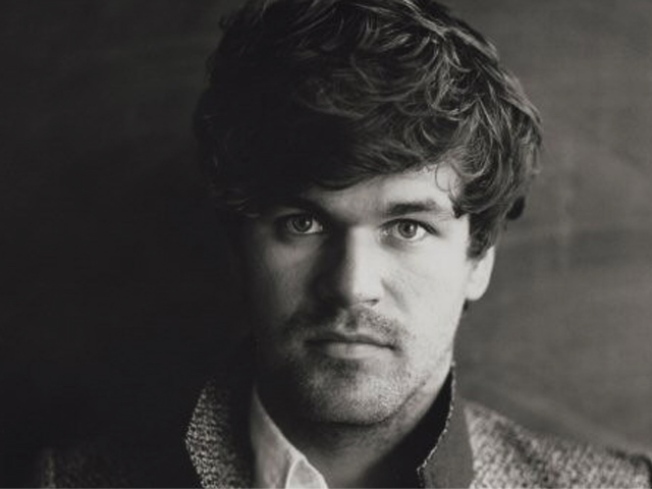 JACKED UP: The decidedly easy-on-the-eyes Jack Peñate decamps London to teach us Yanks a thing or two about booty-shaking – specifically, as applies to the soaring, dance-tinged pop of his just-released album “Everything is New” (and its madly catchy single “Pull My Heart Away”). The rising star (think Coldplay x the Killers x Scissor Sisters) plays Mercury Lounge at 8PM. DEBUT: Be among the first to glimpse the new Adam D. Tihany-designed Aureole restaurant at One Bryant Park: A Grand Opening Gala Dinner will also let you preview Charlie Palmer’s new fall menu (Alaskan spot prawns with piquillo peppers!) and benefit Citymeals-on-Wheels. 6:00PM wine reception; 6:30PM dinner. Get tickets here. GUTTERAL: Kicking off tonight at Lucky Strike Lanes – over at 42nd Street and the West Side Highway – is the weekly Gutterball Lounge & Discotheque bowlstravaganza. And it’s not all balls: The lanes will come alive with live music performances, digital projections, art installations and much more, curated by the savvy likes of Dances of Vice’s Shien Lee. 9:30PM.